Press Release (ePRNews.com) - FRANKFURT, Germany - Mar 20, 2019 - Growing exponentially and launching new crypto asset management services, Iconiq Lab evolves and rebrands as Iconic Holding. Beginning in early 2017 as Iconic Lab, the world’s first decentralized venture capital group and token sale accelerator program, Iconic has launched multiple business units such as the crypto index fund manager, Iconic Funds, and the recently announced crypto asset management platform, AMaaS. The Iconic units are now being brought together under a singular umbrella offering premium crypto asset investment opportunities, Iconic Holding. 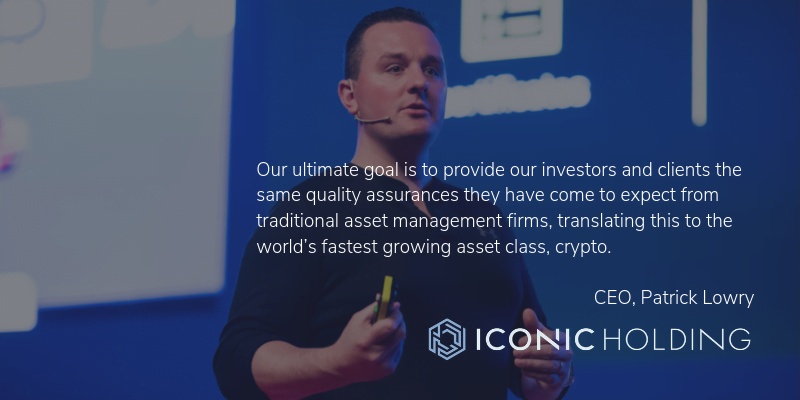 In 2018 Iconic Funds was launched as a passive crypto asset manager, offering regulated crypto asset index funds for investors to gain diversified exposure to the world’s fastest growing asset class. The first fund is in the final stages of receiving regulatory approval and is expected to go live in Q2 2019. All funds issued by Iconic pay their management fees in the ICNQ token, denominated in fiat, they purchase from the market. Iconic Holding is a global crypto asset management group headquartered in Frankfurt, Germany with offices in London and New York. Iconic Holding launched Iconic Lab, the world’s first decentralized venture capital group and token sale accelerator program, in early 2017 and is issuing a series of crypto asset index funds through the Iconic Funds brand. Iconic Holding is the developer of the crypto asset management platform, AMaaS, as well as an authorized Sponsor Firm of the Gibraltar Blockchain Exchange (GBX) and the issuer of the ICNQ token.